class="post-template-default single single-post postid-297710 single-format-standard custom-background group-blog header-image full-width singular wpb-js-composer js-comp-ver-5.7 vc_responsive"
YORK – York senior Carlos Muñoz is trading in his Duke gear for Bulldog apparel. 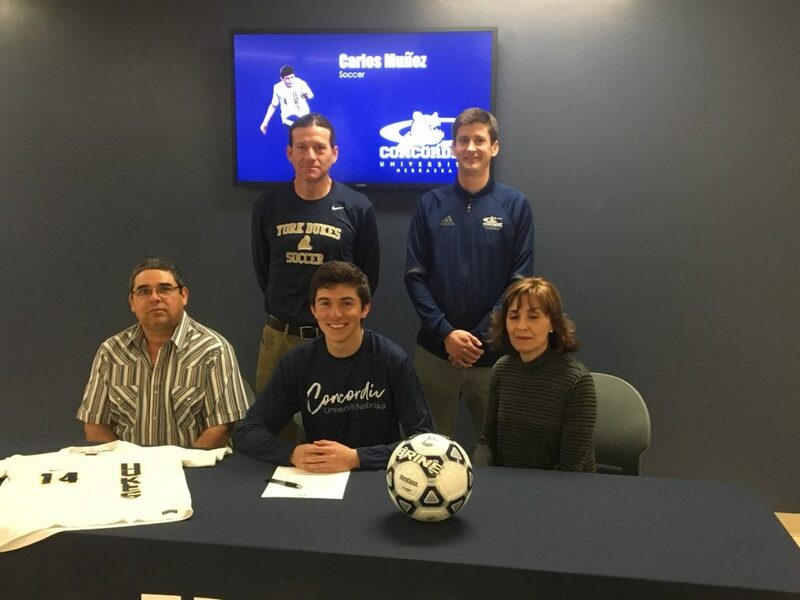 Friday morning, Muñoz signed his letter of intent to play soccer at Concordia University. In two years Muñoz has netted seven goals and culminated 20 points. Muñoz joins a Concordia soccer team that went 16-3-1 last year and made a third straight trip to the GPAC tournament final. York is coming off a 13-6 season. The Dukes opened the year with a road loss Thursday, 4-2 in overtime to Kearney Catholic.